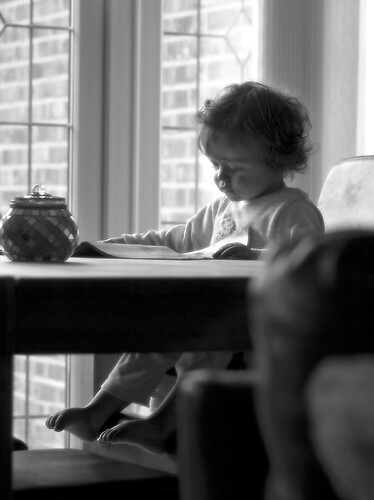 Home › Children › From Daycare to Pre-K: When Should Your Child Learn to Read? For years, experts have emphasized that the earliest years of a child’s life are crucial to literacy development. Research has indicated that reading to a baby or toddler can vastly improve the child’s later achievement in school. Other studies have demonstrated that a child’s educational success rests upon how well he reads and writes. Is there a perfect time to learn? Based upon these studies, some well-meaning parents and educators have taken the leap that early reading is best. Suddenly, the “Mommy Wars” have taken an ugly twist, with parents drilling two-year-olds with flashcards, and pricey preschools guaranteeing that children will be reading by the time that they are four years old. Parents whose three, four or five-year-old children are not reading may feel pressured that their kids are doomed to struggle through school for years. Some parents choose to send their young children to day care centers and preschools, hoping that a professional educator can do a better job of helping their little ones measure up. Just like potty training, sleeping all night or walking, learning to decode words requires children to reach certain levels of maturity and intellectual development. Oddly, many parents worry that their child is behind in reading, but they are perfectly relaxed about waiting to toilet train until he shows readiness. Just like in all early childhood endeavors, reading skills will be best achieved with the tender help from parents. What should a parent do while waiting for the child to develop? Each child develops in a unique way. Some children are zipping through books at age four while others still struggle to sound out words at age six. Both are perfectly acceptable and normal rates of development. However, children do show certain signs of readiness for gentle reading instruction. If a child is interested in letters, words, books and writing, he is in the earliest stages of reading readiness. At this stage, children will learn to spell their names, write down familiar words and “read” favorite books from memory. Children who are ready to learn basic reading skills understand that the markings on the page of a book stand for words and can make stories come alive. Can parents teach their children to read? Once a child is showing reading readiness, parents can begin some gentle reading instruction. Website research for methods to use is a good first step to take, as new techniques and valuable teaching tips will help any parent, even fist-timers, become a great reading tutor. Parents should let their child lead the way and not push him. Mom and Dad can patiently explain the correlation between letters and sounds, and they can demonstrate how to string the sounds together to make words. Eventually, children will read by sight, but showing a child how to sound out words is a useful early skill. Parents should be patient and encouraging during the learning process because it can take months and years for a child to become fluent. The important thing is that the child is progressing as a reader. Whether a child learns to read at age three or at age six, as long as he can read well and enjoy books, he will likely do well in school. For parents of small kids, reading should be a fun experience rather than a grueling task. Involved, excited parents can make the process of learning to read a happy memory rather than an onerous chore. Ann Bailey has taught two children of her own to read, and shares these helpful hints with other parents. The Reading Row website for teaching reading skills is available for any parent who wants to enrich their own understanding of their child’s needs and become better integrated in their youth’s educational foundation.